The 3D concept of colourcash was designed over 10 years ago. During the past few years, I’ve tried to design models which could contain even more information. This is the latest! It is under construction, so, we’re open for your thoughts. 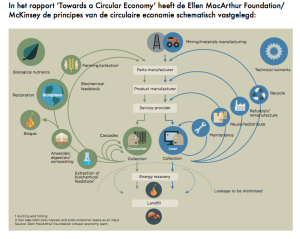 This 6-D model aims at filling the gaps we found in 3D colourcash after studying Ellen MacArthur’s version of Circular Economy. 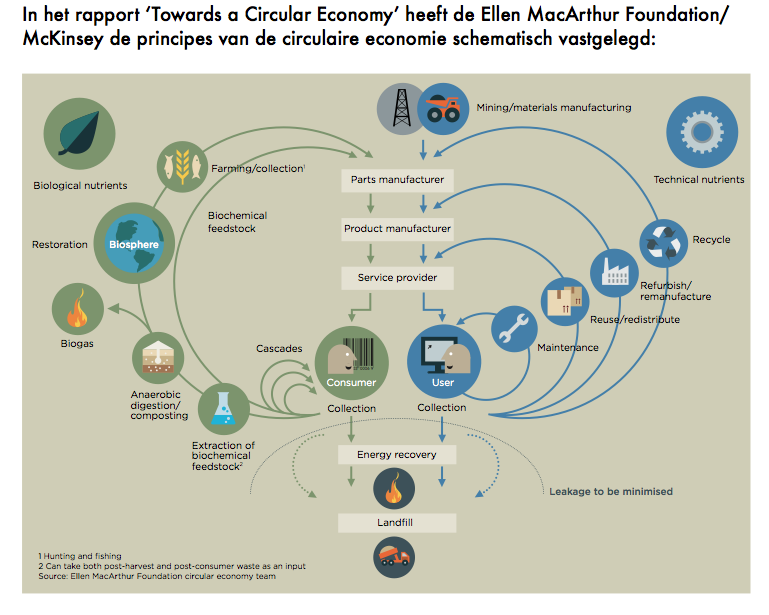 They use that great model with two circles: the technical cycle for materials that need to be taken apart and the living circle with products that will decompose in a natural way and probably yield energy doing so. For those unfamiliar with colourcash: every colour is a unit of value – or a dimension . This 6-D model will give 6 numbers to indicate the value of each product. In these early stages of the design, we don’t use numbers yet, but we do use the colours and the concepts they represent. Living Matter – Green. Materials in the living cycle. Living Energy – Red. The living energy in these living cycles. This will be interesting once my ideas are added later. Technical Matter – Purple. Materials in the living cycle. Technical Energy -Yellow. Energy in the technical cycle. mined matter – what has been mined from the earth – orange. wasted matter – put in exhausts, sewers and heaps – blue. These 2 colours are all about errors overriding the principle of recycling. 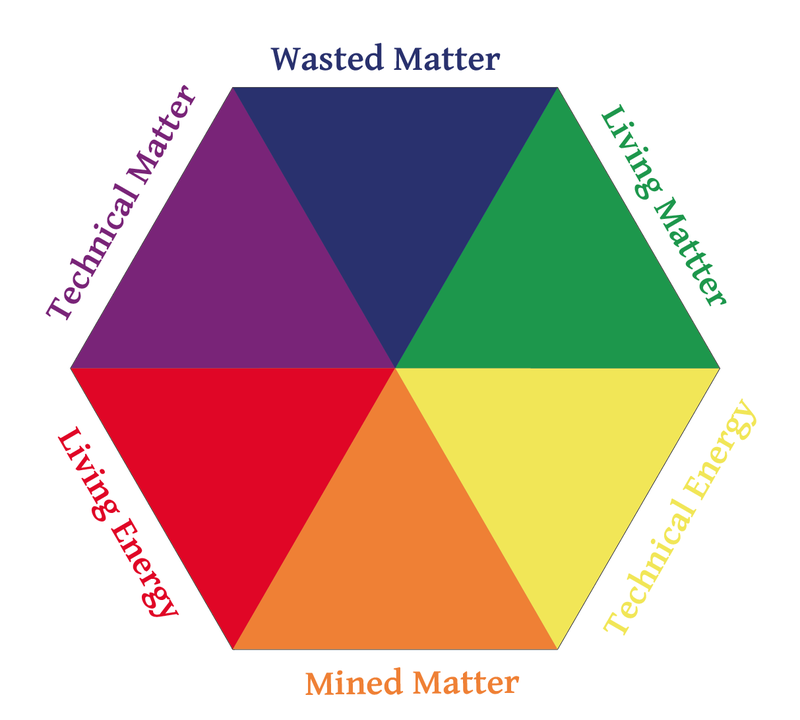 The colour wheel itself is an ordinary 6-colour wheel, where energy and its relating matter are opposed. Use 100ml solar flower oil as a general definition of the 1 unit. Create several concept palettes: custom made designs for a colourcash currency based on a specific product.